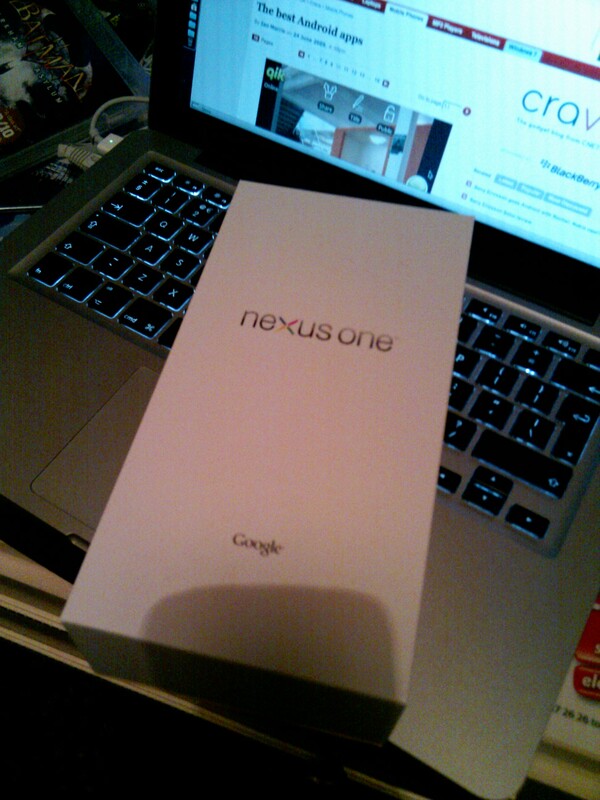 Being a iPhone user for the past few years, I was looking forward to giving the new Google phone a try. Especially since some early reviews called it the iPhone killer. I received my Google Nexus One (GNO) on Friday, 15th Jan 2010 and have spent the last few days playing with the functionality. So far, I’ve been very impressed with the phone in general. It definitely has some advantages over the iPhone, including (but not limited to) faster processor speed, expandable memory and multitasking. Multitasking and the ability to keep applications running constantly is definitely what the iPhone is missing. I was able to run Twitter, GTalk and other applications in the background, so I was always up to date on the latest. The GNO comes pre-installed with many useful applications including both email and Gmail clients, GTalk client, Calendar app, Calculator, Maps and more. One of the biggest disadvantages was the lack of multi-touch for maps, browsing and other applications. This is presumably due to patent issues with Apple. After a while of use, you don’t really miss the functionality. Even after being a iPhone user for the past few years, the GNO has one me over, and more importantly so has Android.